Flav is suing over unpaid royalties for songs he contributed to, after all, as well as merchandising deals. 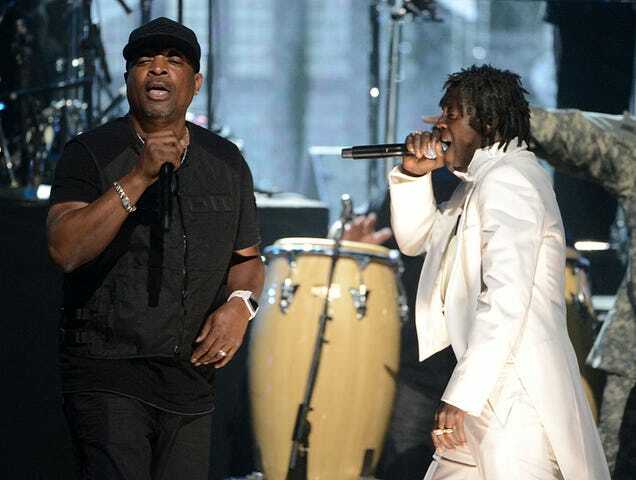 But Chuck D doesn’t think anyone should be too hard on Flavor Flav for this “#stupid” lawsuit, which he thinks is being pushed by his new management. Chuck D then appeared to quash the beef he’d been grilling up by switching the focus to relief efforts in Houston.